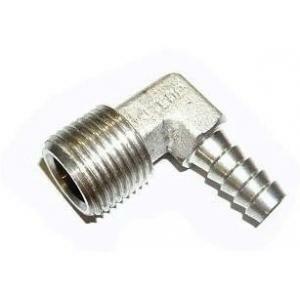 1/2" MPT with 3/8" stainless steel barb on a 90° elbow. 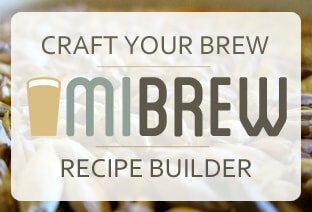 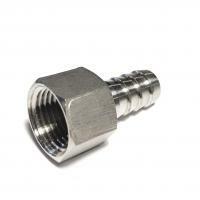 Use with lock nuts to attach to a false bottom when assembling your own cooler mash tun. 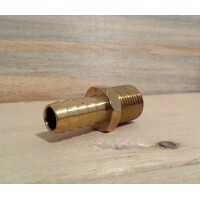 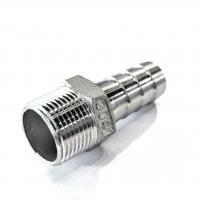 This barbed fitting can also be used on the 'out' side of a ball valve to control liquid flow.